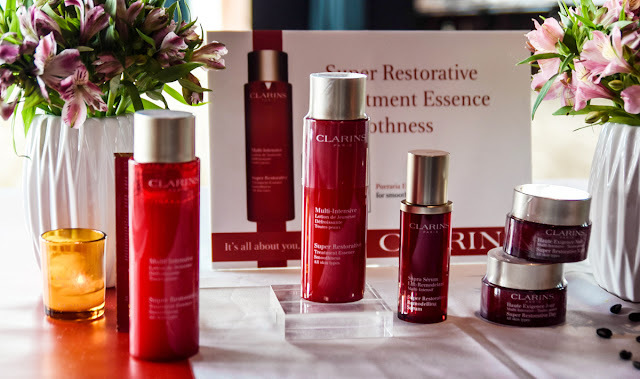 This year, Clarins has formulated three specific Treatment Essences for us that are rich in plant extracts and have highly sensorial smooth textures that are specially designed to unlock the skin barrier and optimize active skin absorption for all ages. This 1st tailor made essences are for different age groups and have powerful anti-ageing ingredients to effectively penetrate and reach its biological target which is located at the deepest skin layers. Breaking them down, we have referenced them for you below, one by one. 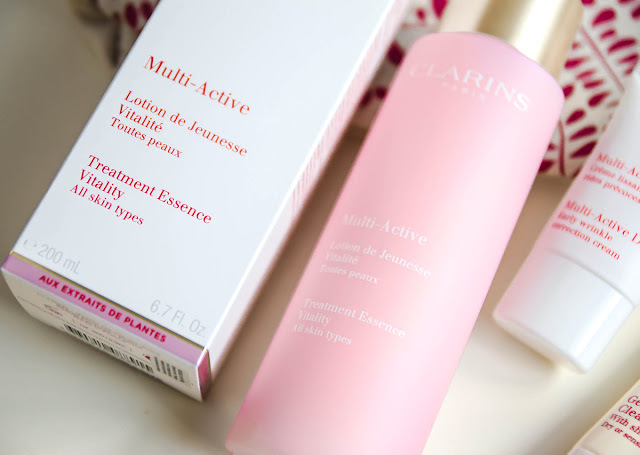 First we have the Multi Active Treatment Essence Vitality Booster. This light pink bottle (located on the left hand size of the picture) is formulated with teasel extract which increases skin cell energy to boost skin vitality. There is also acerola seed extract that encourages cellular respiration to boost skin radiance and myrothamnus extract that helps slow down the cellular ageing process as well. 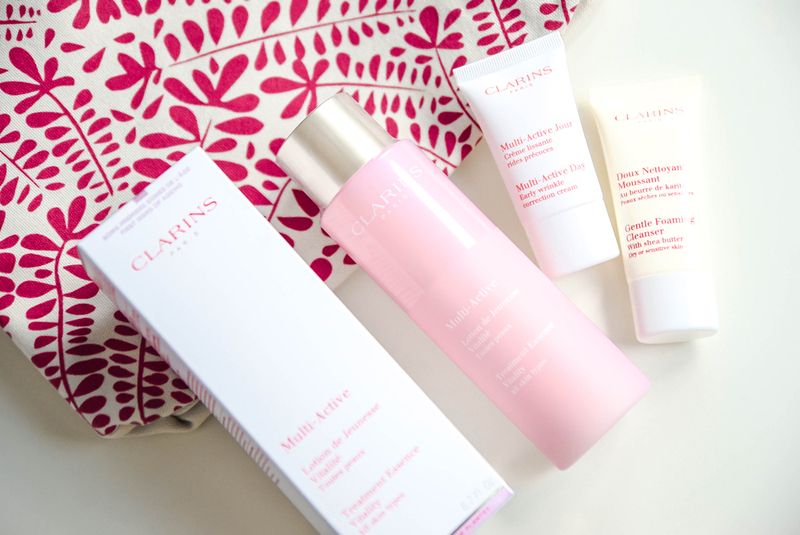 Retailing at RM200, this is best suited for those age 25+ who are showing early signs of ageing. Next we have the Extra-Firming Treatment Essence Bounciness Enhancer (peach) that is formulated with lemon thyme & green banana extracts to reinforce the skin structure, help enhance bounciness, smooth wrinkles and firm the skin. Within its formulation you can find fig extract & hyaluronic acid that supplies water to the skin, and this helps to prevent excessive water loss, have great plumped and moisturized textures as well as reducing the fine lines on the face. Retailing at RM215, this is best matched for those aged 35+ who are showing permanent signs of ageing. 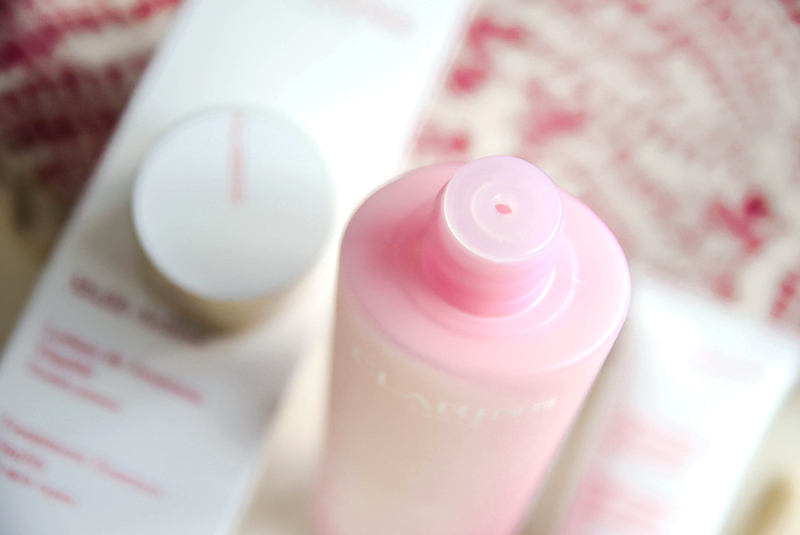 Last but not least out of these new treatment essences, we have the Super Restorative Treatment Essence Smoothness Enhancer (Red). This product is formulated with pueraria lobata extract which stimulates the synthesis of collagen by fibroblasts, in order to help reinforce the stratum corneum and replenish the skin. There are also re-energizing properties of ginseng and green coffee extracts that help boost the skin's radiance and hibiscus flower acid for exfoliating action that leaves the skin soft, supple and visibility radiant. Retailing at RM285, this product is suitable for those who are 45+ who have prominent signs of ageing. Having this trialed and tested for more than a month, this product is wonderful for the skin and has a very lightweight milky texture to it; especially when in a routine is used with a serum or moisturizer of choice. 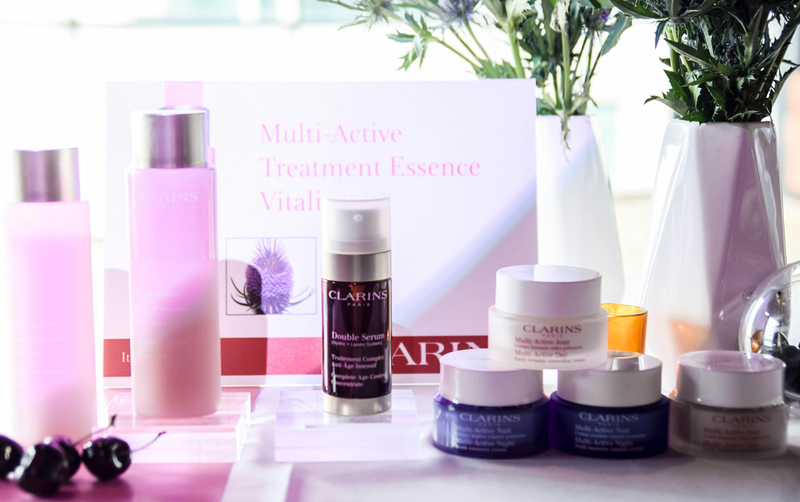 The Clarins Multi Active Treatment Essence Vitality Booster boosts benefits from both ends - moisturizer and treatment; and in terms of an effective application, you can choose to do it two ways, whether with a cotton pad or with your own fingers in order to boost radiance. Besides loving the formulation and looking at the significant improvement of reduced fine lines, the skin has now become very supple and has a more youthful appearance when compared to the before. Plus if used every day, one bottle or 200ml can be fully utilized for up to 6 months to a year but if used sparingly, has a shelf life of 18 months from its opening date. 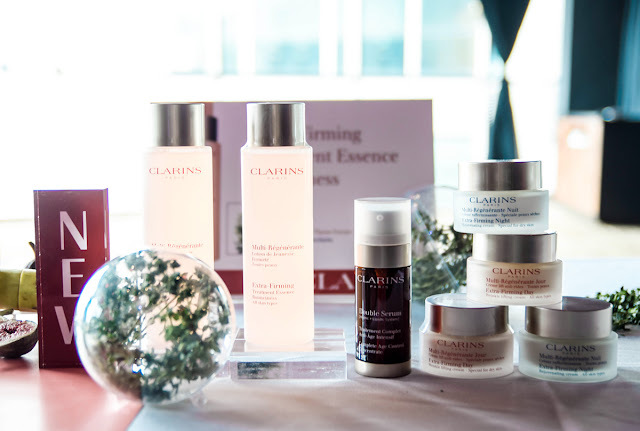 In the meantime, for more details on the products (all this will be available from 1st August 2016 onwards) and on the three new treatment essences by Clarins, you can head over to Clarins Official Website for further updates and information.